Biscuit making just got easier. 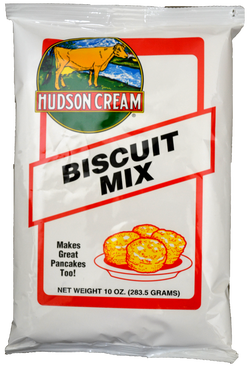 We took our Hudson Cream Self-Rising Flour and mixed in special ingredients. All you need to add is milk! Makes great pancakes, too!